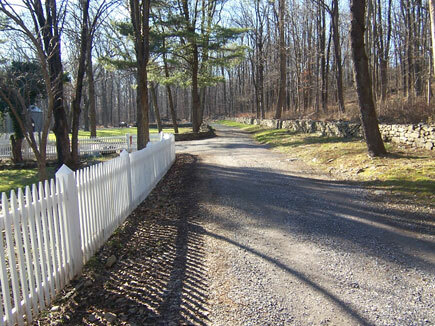 Set on 50 acres, this circa 1705 New Jersey homestead sits above a meandering brook and is surrounded with meadows and old growth timber stands of oaks, shagbark hickory, ash and maples. In addition, there are stone walls for as far as you can see, numerous dependency buildings and gardens that have graced the property for hundreds of years. This firm has developed for the new owners a plan that incorporates retaining the original structure and expands the spaces to include three bedrooms with ensuite his and her baths, a foyer you will talk about for ages and a floor plan that flows effortlessly from library, living room, studio, dinning room, family room kitchen and a myriad of additional special and functional spaces. Once completed this renovation, restoration addition will showcase the finest of the past, the present and the future in harmony.